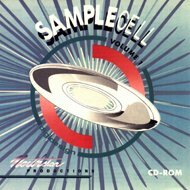 SampleCell Volume 1 is a CD-ROM for Digidesign's SampleCell Version 1 (and compatible V.2) for the Macintosh computer, incorporates 105 banks of digital instrumentation. Built from Northstar's fabulous original library which houses the world's largest original E-mu EIII library, it contains pop and rap, classical and jazz, ethnic and rock instruments. Volume 1 contains over 400 megabytes of data. Most banks are 4 and 8 megabyte in stereo, at 44.1 kHz sample rate. We have included many "light" 2 meg versions which have been sample-rate converted and "mono-ized" for composition use. Each bank contains approximately 6 instruments with many being velocity-switched for extra realism. At a retail price of $195, that's about $2 per bank!